A number is a cyclic number if and have no common prime factors. If follows from the definition of that all prime numbers are cyclic, that the only even cyclic number is 2, and that all cyclic numbers are squarefree. 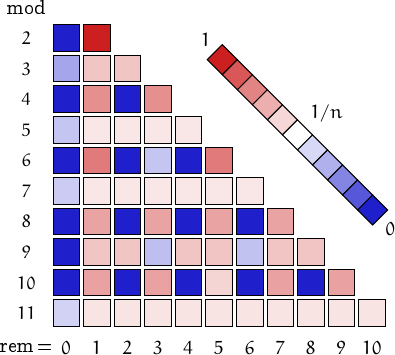 It is known that the divisors of Carmichael numbers are all odd cyclic numbers. G.P. Michon has conjectured that the the converse also holds, i.e., for each odd cyclic number there are infinite Carmichael numbers which are divisible by . 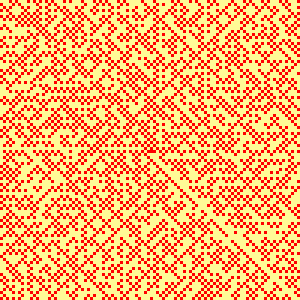 Below, the spiral pattern of cyclic numbers up to . See the page on prime numbers for an explanation and links to similar pictures. 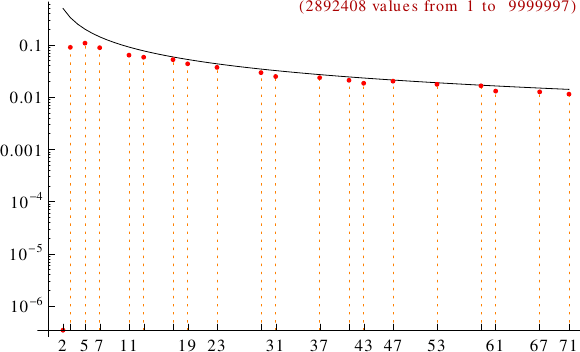 A graph displaying how many cyclic numbers are multiples of the primes p from 2 to 71. In black the ideal line 1/p.